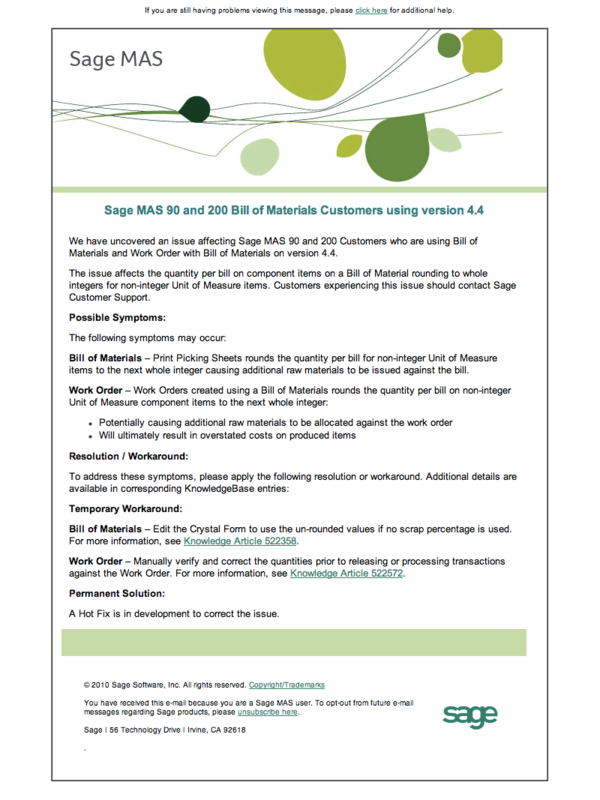 Looks as if there is an issue with the first release of Sage MAS 90 & MAS 200 version 4.4 and the Bill of Materials module. Several end users were reportedly emailed late yesterday by Sage about this issue which appears to primarily impact the Bill of Materials module. Apparently the issue affects the quantity per bill on component items on a Bill of Material rounding to whole integers for non-integer Unit of Measure items. Customers experiencing this issue should contact Sage Customer Support. Bill of Materials – Print Picking Sheets rounds the quantity per bill for non-integer Unit of Measure items to the next whole integer causing additional raw materials to be issued against the bill. Bill of Materials – Edit the Crystal Form to use the un-rounded values if no scrap percentage is used. For more information, see Knowledge Article 522358. 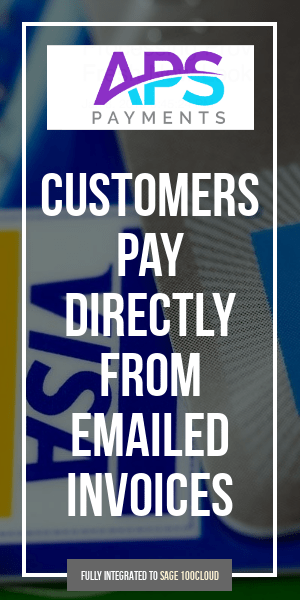 Work Order – Manually verify and correct the quantities prior to releasing or processing transactions against the Work Order. For more information, see Knowledge Article 522572. A Hot Fix is in development to correct the issue.